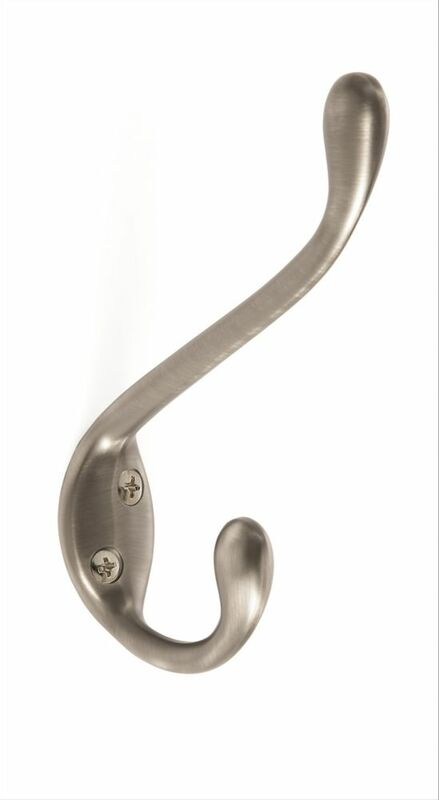 Large Coat and Hat Hook - Antique Silver The Amerock H55451AS Large Coat and Hat Hook is finished in Antique Silver. Single hooks are most versatile and can be mounted into wood surfaces and drywall. Antique Silver is a sleek and lush finish with deep, rich colors designed to compliment traditional, transitional and eclectic styled homes.